If you're decorating your kitchen or just fancy adding something special to it these are a great idea. 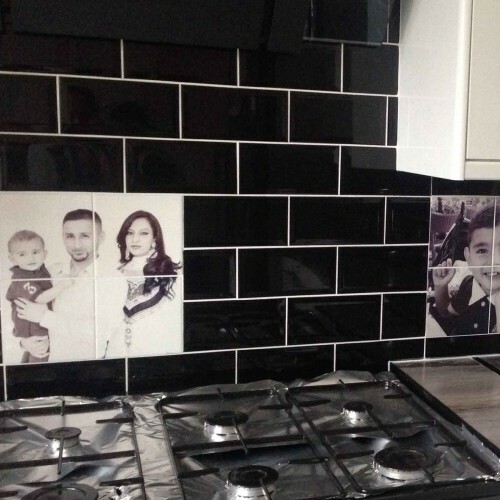 Add a unique personalised touch to your kitchen with these tiles. You can have your photo or any of the images you see in our canvas catalogue heat pressed on to them too. These are heat resistant and you can wipe clean with ease. 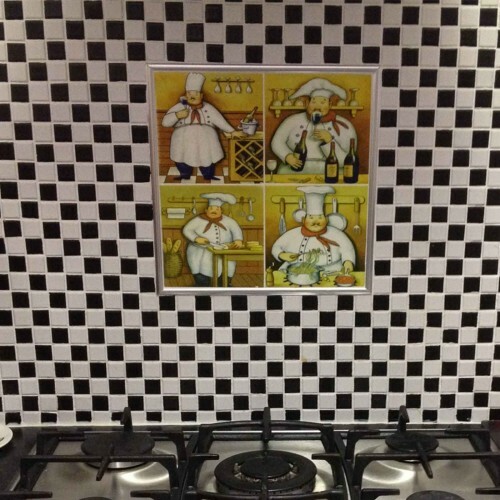 Perfect as a personalised kitchen splashback. 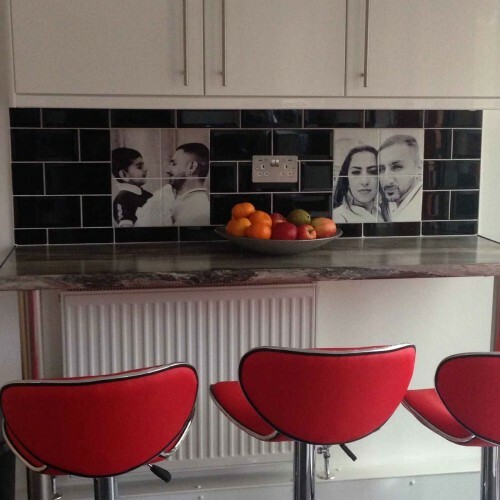 Similar to our words on canvas You can have your own words on a tile or across a range of tiles to make a truly special kitchen splashback. 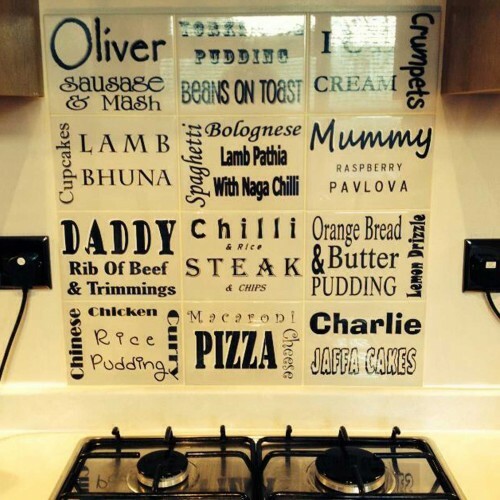 Have your familys favourite dinners and meals printed onto these tiles to make a fabulous personalised splashback. After you have completed checkout we will begin the creative process. We will come up with a first proof and email it to you. At this stage you can point out any changes you’d like to make. We will continue these steps until you are 100% happy. We only begin production after you give us the go ahead. From this point you can expect to receive you print within 3 working days.